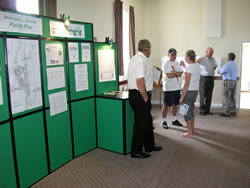 Away back in sunny July the Parish Council had an open meeting, Have Your Say Day, in the Recreation Room. The turnout from the community was quite good, in that many of you came along and gave the team comments on what your concerns were about your village and village life. To achieve this a group of enthusiastic volunteers will get together, prepare a questionnaire, interview some individuals and organisations and generally gather as much information as possible to formulate the Parish Plan. The questionnaire will be a simple multi question sheet with tick boxes for answers designed to obtain as wide and diverse opinion as possible. Don't worry! No trick or personal questions. We ask you to take time and make every effort to complete the form. The group will welcome more than one form from each household. Why not get the youngsters to fill one in. This will not only grab their interest in the village but their views do matter. The enthusiastic volunteers will group the issues that require covering into sub-groups. This group will look at Infill, Development and Expansion of the village. Affordable housing, design and character of housing. The Utilities, water/sewage and green energy. Litter and masts. This group will tackle the need of the young, elderly and disabled. Medical facilities. 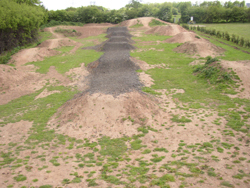 Sports facilities and areas of recreation. 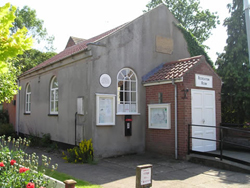 Meeting places such as the village hall, recreation room and others in the planning stage. The need for a pub and restaurant. Footpaths and tourism. There is a need to pass on to the local community the workings of local government organisations. Is the current system working or can it be improved? 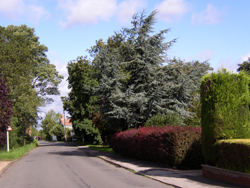 We have notice boards, news letters, monthly and quarterly magazines and the web-site, (www.beckinghan-northnotts.org.uk) not forgetting news gathering for the local papers. Is there a need to find a way of encouraging more of the community to attend Parish Council meetings? Local Business, Police, Crime and transport. This group will look into the need for a review on the local policing and Neighbourhood Watch. Speeding traffic in and around the village. Traffic noise, does this annoy a lot, a few or not many villagers? Do local businesses need any encouragement to expand and create more employment? Thereby negating the need to travel! Over the next 2-3 months everyone will have every opportunity to have their say on whatever topic they like, to do with the shaping of the village and it's environment for the next ten years or so. There will be the already mentioned questionnaire , open days, discussion groups and interviews to ensure that no one is denied the opportunity to put their point across. The results of the information gathering will be published in small booklet form and distributed to the relevant organisations that have an influence on our village day to day life and future. The Parish Plan will be a good document to accompany any applications for grants as the Plan will show that all the community has been consulted and cares. There is always a need for more people to become involved. More people involved means the work is spread and more importantly, more ideas are brought forward. The Group is very short on representation from Saundby and the under 20 year olds.